Our new-and-improved website is up. At http://arachispress.com of course, as before. This should work for a while! More to come, as it comes, and someday maybe 'responsive.' For now, a separate site for mobile, which works well enough. All the current offerings are listed now, including ARROWS OF HEAVEN, which will see 'official' release this Friday, Sept 1 (but is generally available right now). Coming NOVEMBER FIRST, the new poetry collection from Stephen Brooke, and the first book to carry our new imprint, Eggshell Boats. 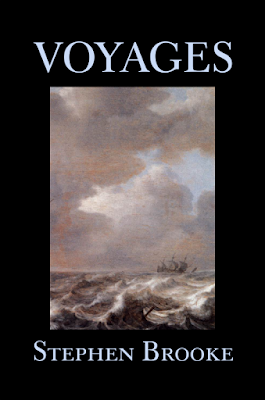 Poems of journey, many with a nautical theme. More info to come!